Roopkund Lake is a glacial lake nestled in the Garhwal Himalayas, at an altitude of 16,500 feet. The lake is completely uninhabited, and contains the remains of ancient skeletons, making it one of the top treks in Uttarakhand. 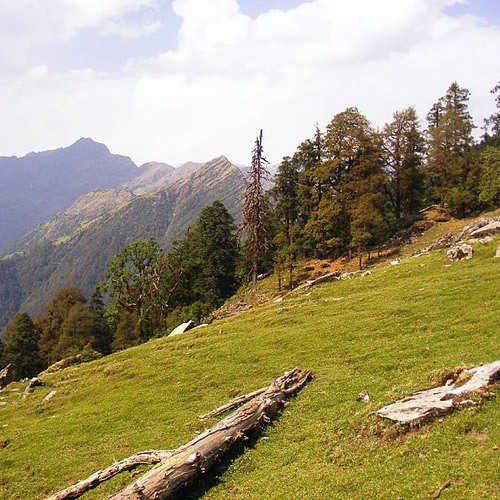 The trek to Roopkund is very scenic, winding through some of the most beautiful meadows of Uttarakhand. You’ll see the magnificent Bedni Bugyal, ramble through the outer periphery of the Nanda Devi National Park and head up into the quieter, more uninhabited reaches of the mountains. 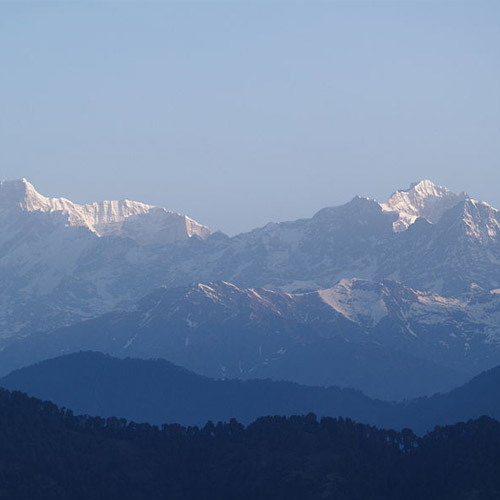 You’ll be able to see legendary peaks like Trishul, Nanda Devi, Nanda Ghanti, Nilkantha and Maiktoli. 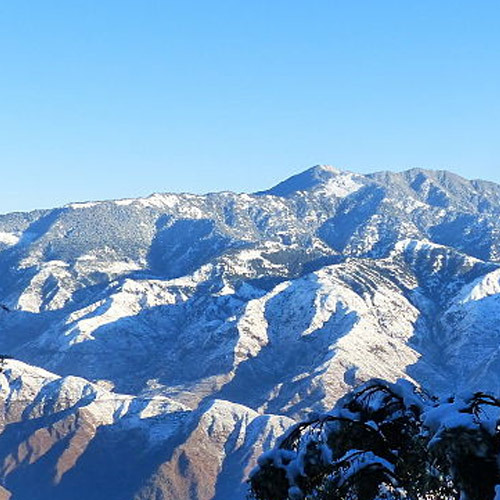 You'll also visit the village of Wan, where locals still wear a Garhwali blanket pinned to their chests for warmth. 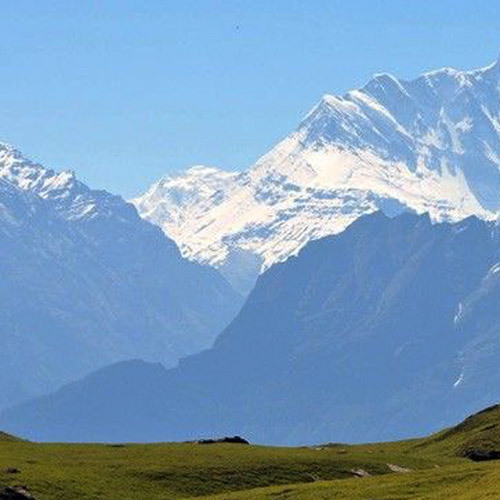 Most Roopkund trek itineraries also include a visit to Jurangali ridge, above the lake, so that you can get views of the spectacular peaks around. En route to the lake, you'll camp in stunning high altitude meadows, and enjoy the best of lush green landscapes and greyer rocky views. 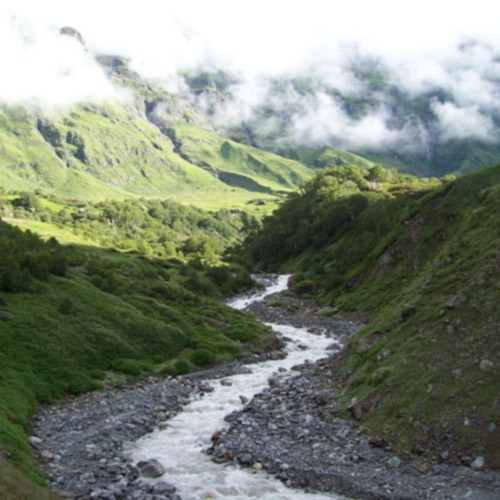 Roopkund Lake is formed by glacial melt, and is rather shallow, having a depth of only about 2 metres. 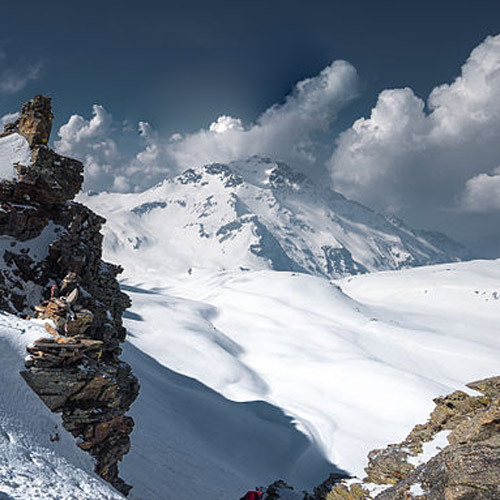 It lies in a depression and is covered with snow for most parts of the year. When the snow melts, one can see human and animal skeleton remains inside. The lake is also known as Skeleton Lake or Mystery Lake, because the history of these skeletons baffled experts for years. The skeletons are the remains of about 500 people, believed to have been a group of travellers who were caught in a vicious hail storm. Most skeletons have skull injuries, but have been preserved in the cold alpine weather for centuries. The region around is completely desolate and usually misty, adding to the element of mystery around. It's a thrilling trek for this reason, but the scenery is also a reason that many adventure-seekers come for. Read our blog to find out everything you want to know and get the packing list for the Roopkund trek. The best season for the Roopkund trek is after the monsoon from September to early November as the weather is usually clear. In Sept-Oct, day time temperatures are usually 10-15 degrees Celsius, and can dip as low as -5 Celsius at night. During the summer months of May and June, you can do this trek, but the weather can be unpredictable at this point. At this high altitude, the weather is changing constantly. In summer, day time temperatures range from 13-18 degrees Celsius, dropping to -2 Celsius at night. Set off on a challenging trek to Roopkund lake. Nestled in the Garhwal Himalayas, this mysterious lake is surrounded by human and horse skeletons whose origins baffled experts for decades. The lake is frozen for most of the year, but during September and October when the lake thaws, you'll be able to see the skeletons that lie underwater too. 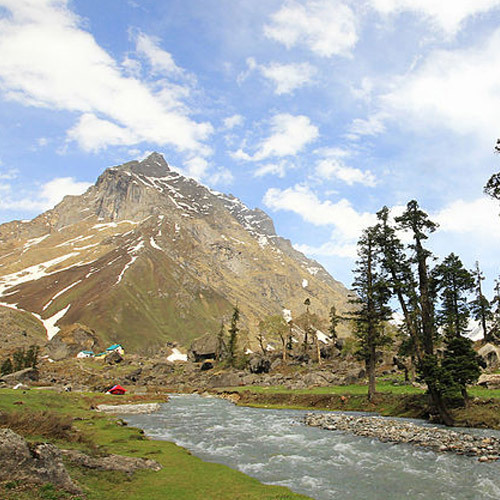 You will trek along the banks of the Neelganga River, past charming pahadi villages, and up into the expansive twin meadows of Ali and Bedni Bugyal. 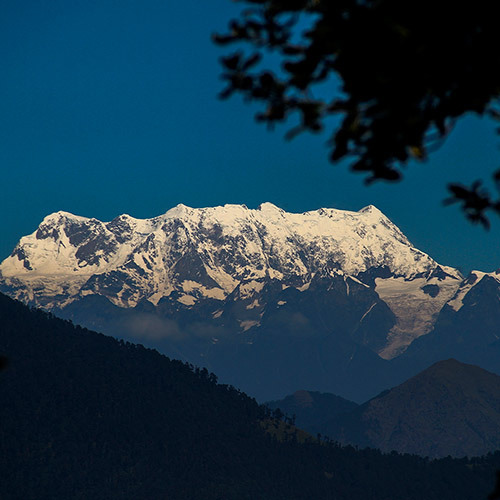 From here, you'll be able to see spectacular views of snow-capped peaks like Trishuli, Kedarnath, Chaukhamba and Nanda Ghunti. NOTE: This is a challenging trek and it is advisable to have previous high-altitude trekking experience. You must be prepared for extremely cold nights and unpredictable weather on the trek. Packaged water, snacks, soft drinks etc. The Roopkund trek is a moderately challenging one, largely because of the altitude of the lake, but also because of the scree and moraine surrounding it. 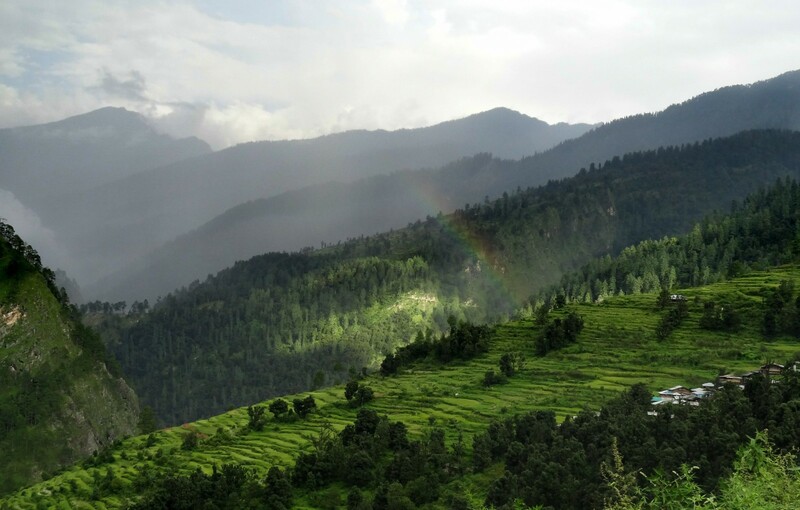 It is a thrilling adventure that takes you from the green meadows of Chamoli district and into the misty upper reaches of the Garhwal Himalayas. The other-wordly feel at the lake is only amplified by the human remains that have mystified historians for decades. You'll also visit the village of Wan, where locals still wear a Garhwali blanket pinned to their chests for warmth. This route takes you to the Jurangali ridge above the lake, to get views of the spectacular peaks around. Can beginners do this trek? The Roopkund trek can be quite challenging, and there are some very difficult stretches. In addition, the weather is unpredictable and gets very harsh near the lake. It is not recommended for beginners for this reason. If you’ve done a few Himalayan treks in the past and are fit and in good health, you should be able to complete the Roopkund trek. What should I carry for the Roopkund trek? Your operator will provide you with a list of equipment and clothing that you need to bring, depending on the package and the season you’re going. Do make sure you have rain covers for your backpack and day pack, as well as a raincoat or poncho for yourself. What is the best season for the Roopkund trek? 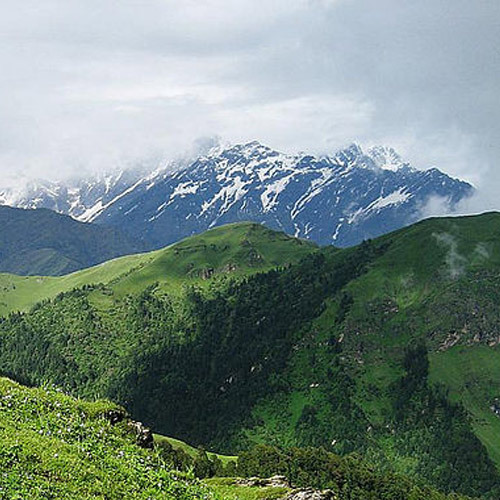 Most trekkers like to go for the Roopkund trek from September-November, as the temperatures are warmer, the meadows are greener, and the visibility is better.